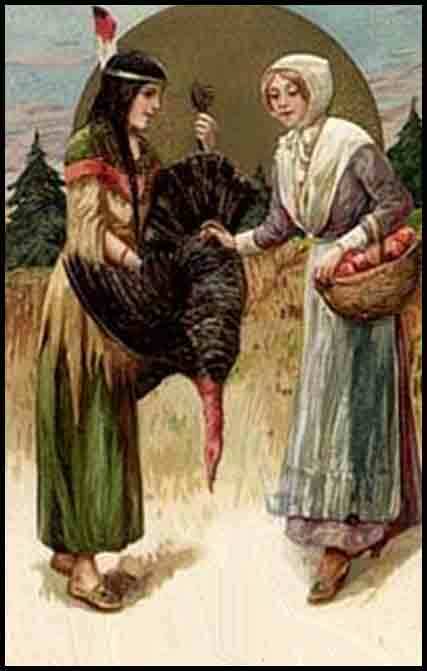 From Indian Country Media Network, "The Wampanoag Side of the First Thanksgiving Story," by Michelle Tirado, on 22 November 2011 -- Too often the story of the 1621 Thanksgiving is told from the Pilgrims’ point of view, and when the Wampanoag, who partook in this feast too, are included, it is usually in a brief or distorted way. In search of the Native American perspective, we looked to Plymouth, where the official first Thanksgiving took place and where today the Wampanoag side of the story can be found. 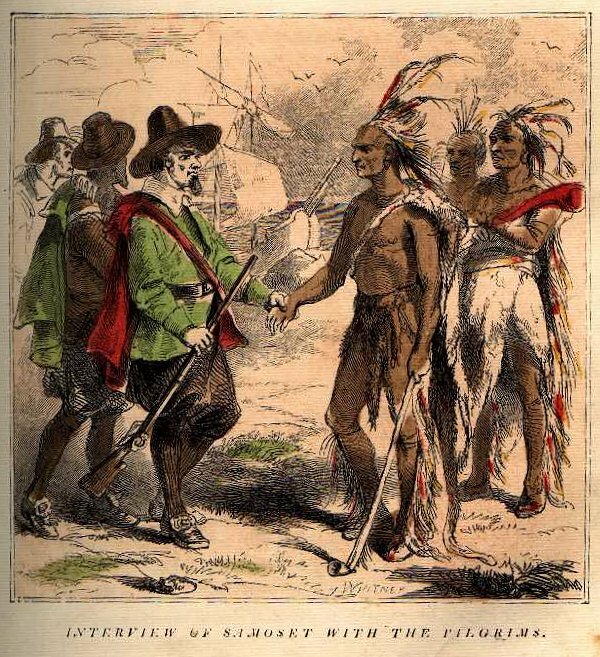 Wampanoag leader Massasoit is in Plymouth, Massachusetts.